9 Partridge Ct., San Rafael, CA 94901. This talk is being held at a private home. 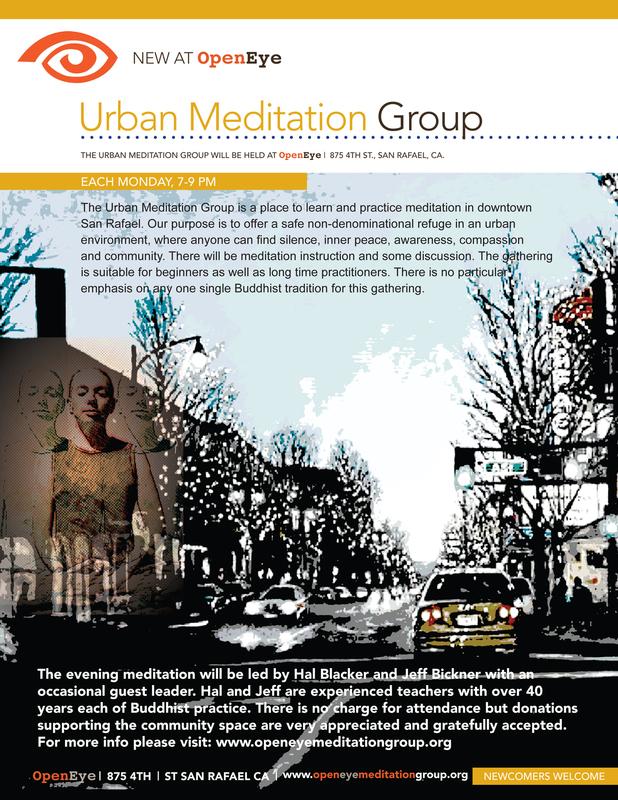 I am happy to be a co-founder and instructor at the new Urban Meditation Group in downtown San Rafael, each Monday evening 7-9 p.m. Urban Meditation Group will be held at OpenEye, a beautiful venue created by friend, co-founder and co-instructor Tarane Sayler. OpenEye is located at 875 4th St., San Rafael, CA. The group is led by Hal Blacker and Jeff Bickner, and occasional guest instructors. The format of our gathering will include meditation, instruction in meditation and an opportunity for questions and discussion. Suggested donation: (Open Circle event) $10-$20. No one turned away for lack of funds. 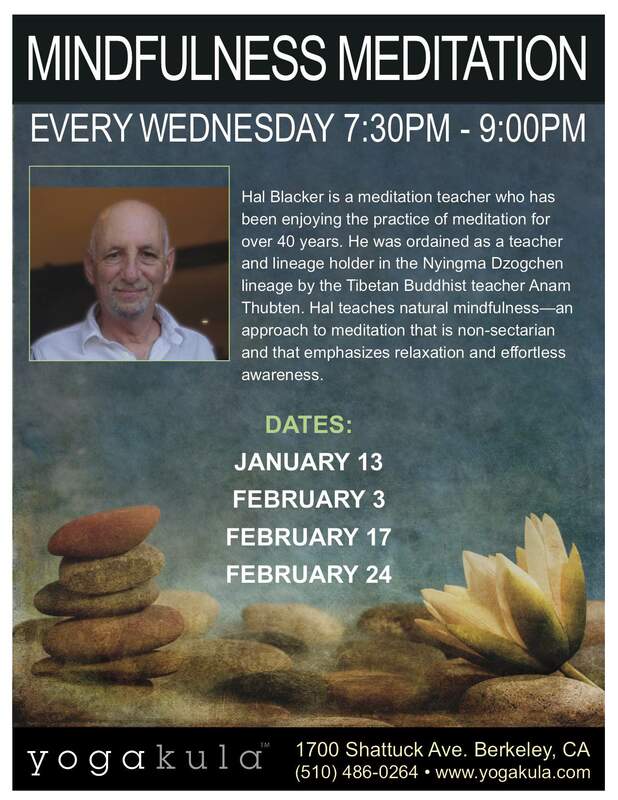 Beginning on Wednesday, January 8, 2014, Hal Blacker will be offering a class on Padampa Sangye’s 100 Verses of Advice to the People of Dingri in Point Richmond, California. The 100 Verses is a widely loved text, and also happens to be one of the favorites of Hal’s teacher, Anam Thubten. 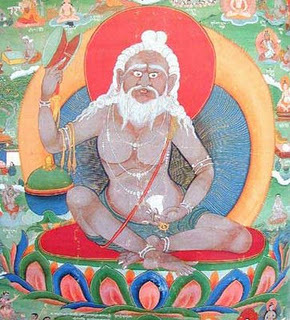 Padampa Sangye was an 11-12thcentury Indian mahasiddha (greatly accomplished yogi) who lived and taught in Tibet in the area of Mt. Kailash, near Nepal. He gave the teachings in the 100 Verses as a sort of last testament of pith instructions, at the request of the people of Dingri. Earthy, concise and profound, his words of advice are as applicable to us today as they were to the lay folk and yogis of Dingri back then. Class begins 7:00 p.m. on Wednesday, January 8, 2014 and will be held every two weeks through March 19, for a total of 6 sessions. (See the schedule and location below). There is no charge for the class but donations are accepted and appreciated. Hal Blacker was ordained as a lay Dharma teacher and lineage holder by Anam Thubten, a Tibetan Buddhist Nyingma lama. Hal began his study of Buddhism in the early 1970’s with the Venerable Chӧgyam Trungpa, Rinpoche. He is the founder of Real Dharma and teaches most Tuesday evenings in San Anselmo, Marin County, California. 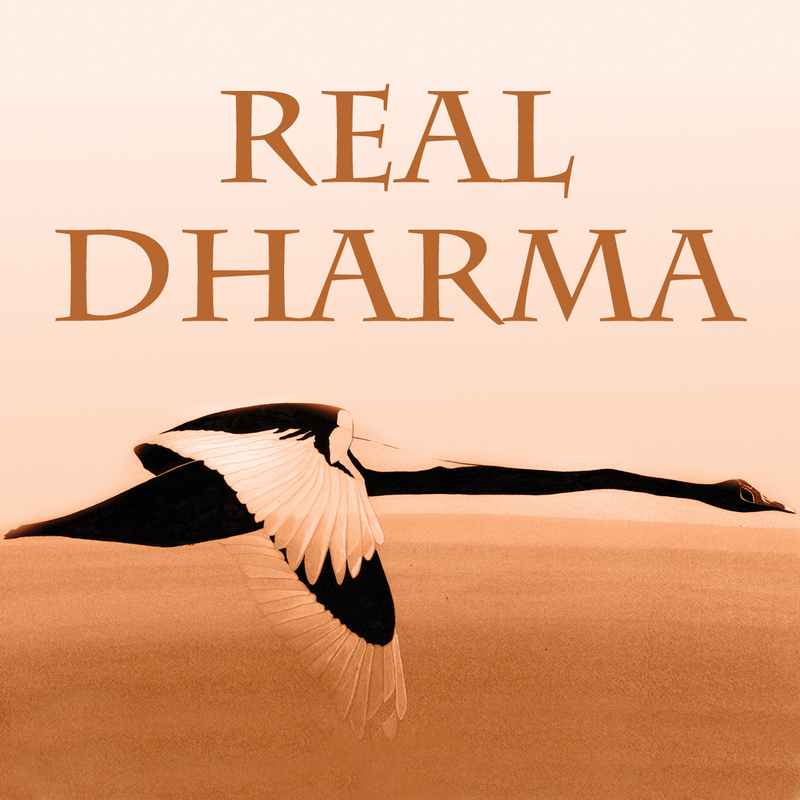 For more information about Hal Blacker and Real Dharma please visit www.realdharma.org. Location: 419 Golden Gate Avenue, Pt. Richmond (cross street is Mono Street). For more specific directions and to indicate you’ll be attending, please contact hostess Cynthia Barbaccia by December 26th at 510/858-8811 or via e-mail at earth.lake@yahoo.com. Class Dates: Wednesday evenings, January 8, 22; February 5, 19; March 5, 19. No prior reading or preparation for the class is required. The text will be available at the class. Beginning on Tuesday, November 19, we will be studying the wonderful and powerful Dzogchen Prayer of Samantabhadra (Dzog pa chen po kun tu zang po’i mon lam) at our regular Tuesday night Real Dharma meetings. This extraordinary text is often recited and studied in the Dzogchen tradition. It gives a short, clear and beautiful exposition of Dzogchen view and practice. The text will be available at class. Hal Blacker will be giving a talk on a teaching of the great Dzogchen master Lama Shabkar on Wednesday, December 4th, 2013 at 7 pm in Point Richmond, California. 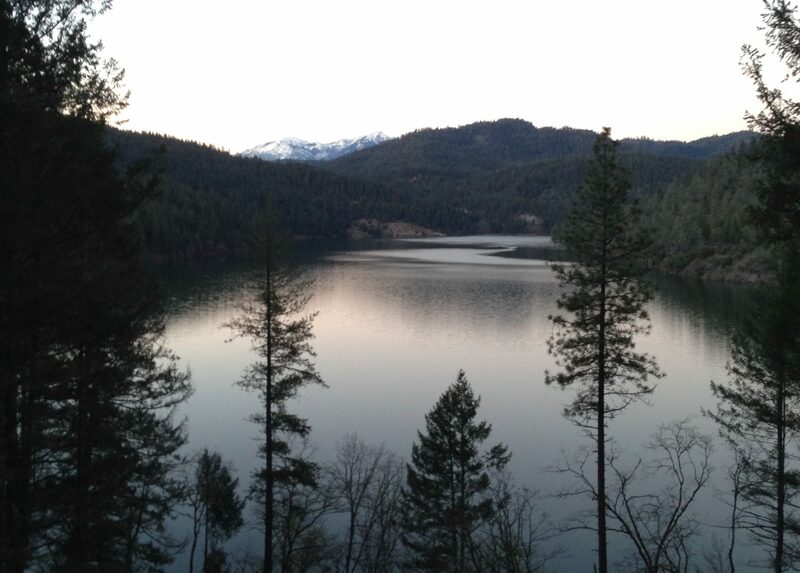 For the exact location, directions and other information, contact Cynthia at earth.lake@yahoo.com. Tuesday, January 24, 2013 7:30 p.m.
Hustler, pimp, thief. 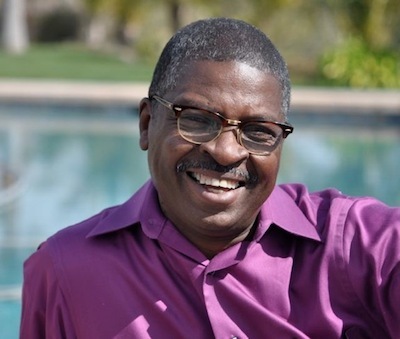 Kenny Johnson, was a career criminal who spent 20 years in prison, when he was transformed by a profound spiritual experience. Now he proclaims the availability of grace, redemption and liberation for all. Kenny is the author of The Last Hustle, his story of crime and spiritual liberation, and is the founder of This Sacred Space, a program for currently and previously incarcerated individuals. Tuesday, December 20, 2012 7:30 p.m.
Lama Lakshey Zangpo Rinpoche was born in Golok, Tibet and was recognized as a tulku at a young age. He trained under his root lama His Holiness Jigme Phuntsok Rinpoche at Larung Monastery and with other notable teachers. Rinpoche came to the United States in 2007. 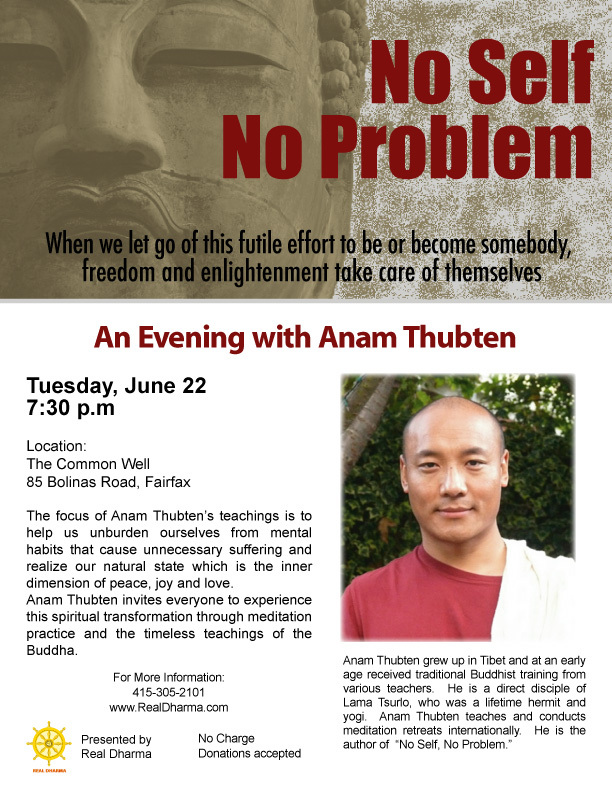 He is the founder of Tsinta Mani Choling Buddhist center in Spokane, Washington, and is vice principal of Senge Takste School, a school and home for 400 orphans in Golok, Tibet. Tuesday, June 22, 2010 at 7:30 p.m.